Cressing Temple Barns0333 0132738work Historic SiteWe would love to see you at Cressing and there is still lots for you to enjoy, not forgetting of course the very tempting Tiptree Tea Room. 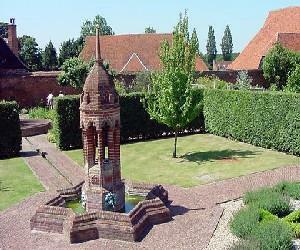 Cressing Temple, between Witham and Braintree, is of supreme interest for its unique buildings and gardens. Given to the Knights Templar in 1137, its Grade I-listed Barley and Wheat Barns, built in the 13th century, are among the oldest timber barns and few surviving Templar buildings in England. Displays inside outline the history of the Templars and the site. Admission and parking at Cressing Temple is usually free. There may be admission charges if there’s an event on – please check Cressing Temple future events [http://www.visitparks.co.uk/cressing-temple-upcoming-events/]. We would love to see you at Cressing and there is still lots for you to enjoy, not forgetting of course the very tempting Tiptree Tea Room. Please note that we have now reverted to our Winter Operational Period. The small buildings will now be closed to visitors until March 2019. The site will be closed for Christmas Day, Boxing Day and New Year’s Day. Free entry. On event days, times may differ and there may be an entry charge.